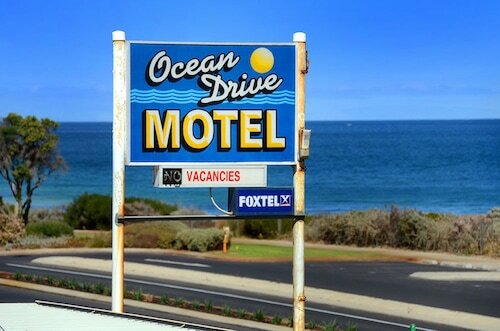 Offering direct access to the beach, this Bunbury motel is 0.1 mi (0.1 km) from Back Beach and 1.9 mi (3.1 km) from Koombana Bay. Hungry Hollow Beach and Big Swamp Wildlife Park are also within 1 mi (2 km). 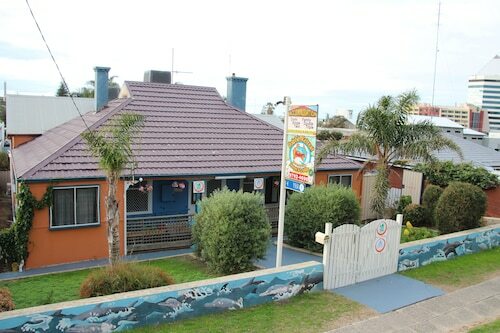 Situated near the beach, this hostel is within a 5-minute walk of Bunbury Regional Art Galleries and Back Beach. Bunbury Regional Entertainment Centre and Bunbury CentrePoint are also within 10 minutes. Situated in the business district, this motel is within 2 mi (3 km) of Bunbury CentrePoint, Bunbury Regional Art Galleries, and Back Beach. Bunbury Regional Entertainment Centre and Bunbury Lighthouse are also within 3 mi (5 km). Bordered by water on three sides, Bunbury is a dream city for beach lovers and fans of waterfront walks and dining. The third largest city in Western Australia, Bunbury seems to have a little bit of everything: a chequered lighthouse stands guard over a beach with black volcanic rocks, people and dolphins interact at the Discovery Centre, and the town centre has heritage buildings, art galleries, cafes and nightclubs. 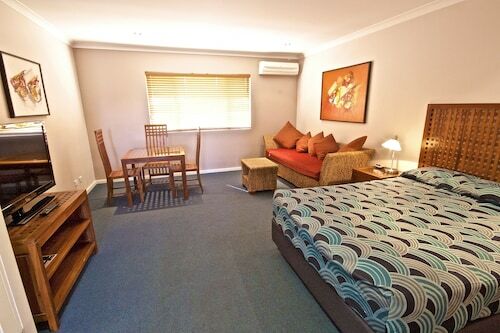 Book your Bunbury accommodation with us and spend some time in a town that, indoors or outdoors, you’re sure to love. WA’s biggest city after Perth and Mandurah, the first registered sighting of Bunbury was by French explorer Captain Louis de Freycinet in 1803. However, the area remained largely unexplored until 1830, when Governor James Stirling navigated the Collie River. The first settlers, the Scot family, came in 1838. Visit Back Beach to see Bunbury Lighthouse, with its striking black and white chequered pattern, and the black basalt rock formations that were left on the shore by flowing lava thousands of years ago. This beach is patrolled during summer, and the foreshore is a suitably scenic picnic spot. Take a walk along Leschenault Estuary, a lagoon where fishing, picnics and dragon boating are popular, and you can explore the 25,000-year old mangroves of Mangrove Cove by walking around the boardwalks. Bunbury is home to about 100 bottlenose dolphins, and you can drop into the Dolphin Discovery Centre to swim in the sea with dolphins, take an eco cruise or touch a starfish in the Discovery Pool. Get a taste of culture and history with a trip to a local art gallery or museum like King Cottage, full of artifacts that reflect life in Bunbury from the 1880s to the 1920s. And while you’re here in Bunbury, check out some of the nightlife. Dance to a live band or DJ, or have a night of theatre or comedy at Bunbury Regional Entertainment Centre. Shop at Bunbury Forum Shopping Centre for the major shops, or wander the streets of the town centre for fashion stores, op shops and pretty much anything else you could need. If you’re after a meal, you can pick from wineries with restaurants to contemporary restaurants with international cuisine to cafes with filling breakfasts. Waterfront restaurants are perfect if you want your delicious meal complimented by the sight of yachts at sea. Book your flight to Perth and Bunbury accommodation with us and get a bus, train or car hire to Bunbury. Whether you’re looking for adventure, discovery or simply a chance to watch the world go by, Bunbury is yet another of WA’s wonders. 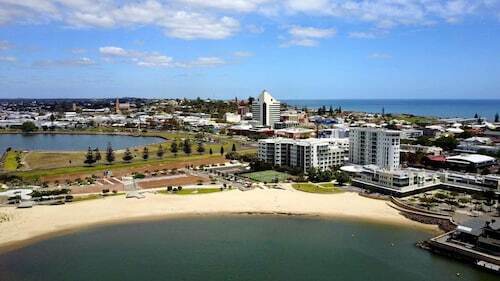 How Much is a Hotel Room in Bunbury? 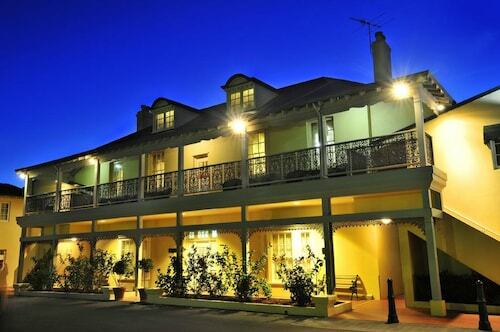 Hotels in Bunbury start at AU$99 per night. Prices and availability subject to change. Additional terms may apply. We stayed at Quest for an event and it was accessible, quiet, the apartment facilities were great and the staff were very friendly. Cleanliness of the units. Friendliness of the staff. Neat and clean facilities. Polite and friendly staff.